Most likely, you may have stumbled upon this article while searching for NNPC industrial training application, NNPC SIWES application or industrial training placement in NNPC. In this post, you’ll learn how to apply for industrial training in NNPC. NNPC acronym for the Nigerian National Petroleum Corporation, is one of the biggest entities in the Oil&Gas sector in Nigeria. NNPC is known for its exploration activities and operational interests in refining, petrochemicals and products transportation as well as marketing. You can learn more about NNPC at their official website. If you’re ready to apply for industrial training, you may want to consider applying for for industrial training NNPC. NNPC industrial training placement is highly prestigious for Nigerian undergraduate students all over the country. NNPC has dedicated internship programs for Nigerian undergraduates and graduate trainee programs. Undergraduate NNPC industrial training program typically last over a period of 6 months. NNPC industrial training programs are available in a variety of disciplines. All Nigerian undergraduate students irrespective of your field of study are eligible to apply for industrial training in NNPC. Students studying engineering related courses can work in areas like field support, business analysis, paper filing, or marketing (at NNPC filling stations). Management interns normally work on Operations management, program management, and retail operations. 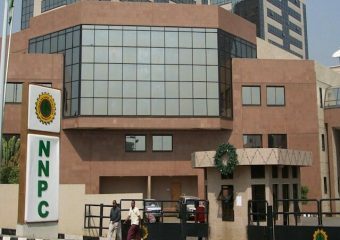 NNPC Industrial Training Application Process: How To Apply? Applying online through NNPC recruitment page. Having a referral is the easiest way to get industrial attachment at NNPC. If you know someone who works at NNPC, ask them to provide you a referral. You can even find some employees through LinkedIn or Facebook for this. Watch this amazing video on how to contact someone on LinkedIn to help you get a job. Find a previous/current NNPC employee/intern and ask her to provide you the e-mail address of the HR. Mail the HR directly, clearly stating your purpose, with a strong cover letter and resume. One of the best ways to find a good paying internship in today’s world is with online job posting websites. If you decide to contact companies you find online, you need to send an unsolicited application letter. Unsolicited application letters let you contact employers who do not post jobs online or do not have any current jobs vacancy. Visit NNPC branch offices and send an unsolicited application letter as a way to get your foot in the door. What happen after NNPC industrial training application? After the first screening based on your NNPC industrial training application, you may be called for an interview or an aptitude test. The best way to prepare for NNPC aptitude test is by practicing different types of sample questions which were actually asked in the NNPC screening test in the past. You can get all the questions asked over the years by employers here. For practicing specific (NNPC) aptitude questions, download few sample NNPC aptitude test questions. Once the internship starts, you’ll be assign a tasks. The first week generally comprises orientation programs, onboarding etc., and you get assign to a team. The intern projects at NNPC are normally of significance, and interns are encouraged to fill their log book. NNPC generally offers a stipend above 15K/month . Other perks include field allowance, and team outings. You can also read about some amazing internship tips to get you started. Check out these great internship jobs you can apply today. If you have done an industrial attachment at the Nigerian National Petroleum Corporation (NNPC) and have something to add, please comment below. NIGERIA JULIUS BADGER RECRUITMENT 2018/19. all applicat should be between the of AGE 18 T0 35 . interested applicat should contact c.m.d on 09035397936.